How did time move so fast that it's already February what. Anyway, new month, new favourite song of the moment. 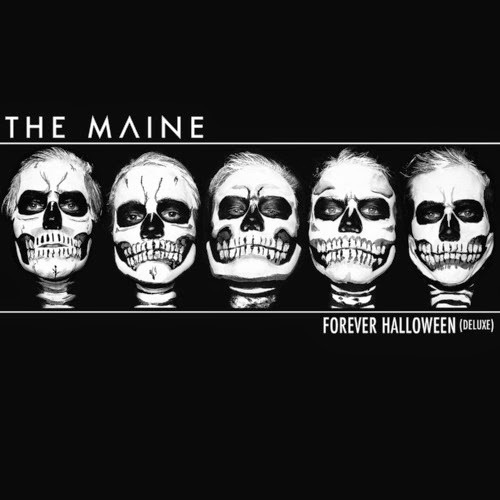 I've loved Ugly On the Inside by The Maine for so long, but I've been listening to it loads this past week. I think it has something to do with the fact that I'm not really into people because a hell of a lot of them are seemingly ugly on the inside, and I do not have time for them and their toxicity. Ya feel me. I really like the electric guitar on the intro, and the way that the first verse starts with a ballad-like sound. And I think it kind of is a ballad; it's meaningful with great lyrics, and it's not too heavy. Like the perfect rock ballad, but a bit more upbeat than most. I love the rock vibe and how it's sustained all throughout, without distracting from the meaning of the song, but rather helping to emphasise it. The lyrics are perfect. I don't think I can fault them at all. I think they put across the message very clearly and without room for misinterpretation. Some of my favourites are 'it's safe to say you've lost control', 'pretend you hear, pretend you care, this hollow trend, it's in the air, these deceptions that you wanted will eat you from the inside', 'if I called you up it was just to say, stay away'; and of course, 'you can change your face but it's a waste of time, 'cause it don't change the fact that you're ugly on the inside.' I don't know, maybe it seems mean to some people, but it sounds nothing but honest in most cases I can think of that relate to the song. It makes a lot of sense. And I feel like everyone probably knows at least one person who they could apply this song to. Do you like The Maine? What's your favourite song by them?